As part of Cairns Indigenous Art Fair’s 10th Anniversary celebration in 2019 one of the satellite exhibitions will be a tribute exhibition to CIAF’s founding Patron, Thancoupie, Gloria Fletcher AO. CIAF is an annual showcase of the diverse cultures and artistic wealth of Queensland Aboriginal and Torres Strait Islander Peoples through an impressive three day program of art, dance, music, talks and workshops which deliver an unforgettable experience. 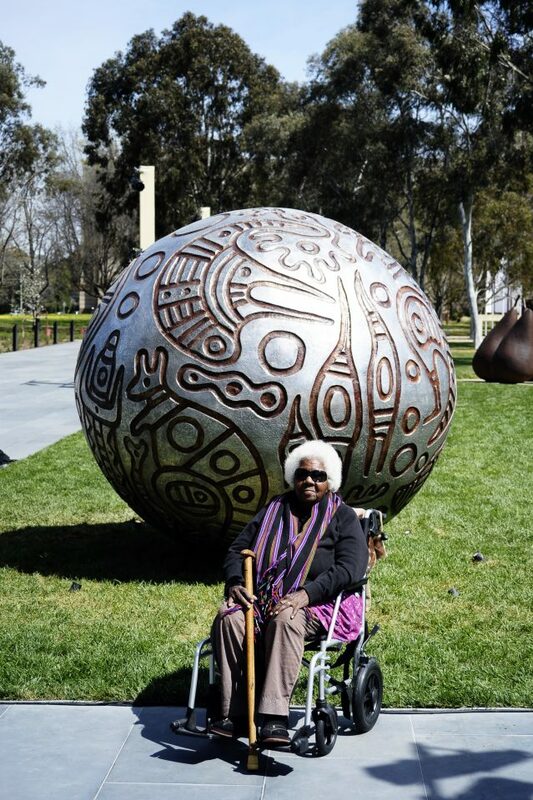 Thancoupie Gloria Fletcher AO (1937-2011) was an artist, linguist and teacher from Napranum in Far North Queensland. 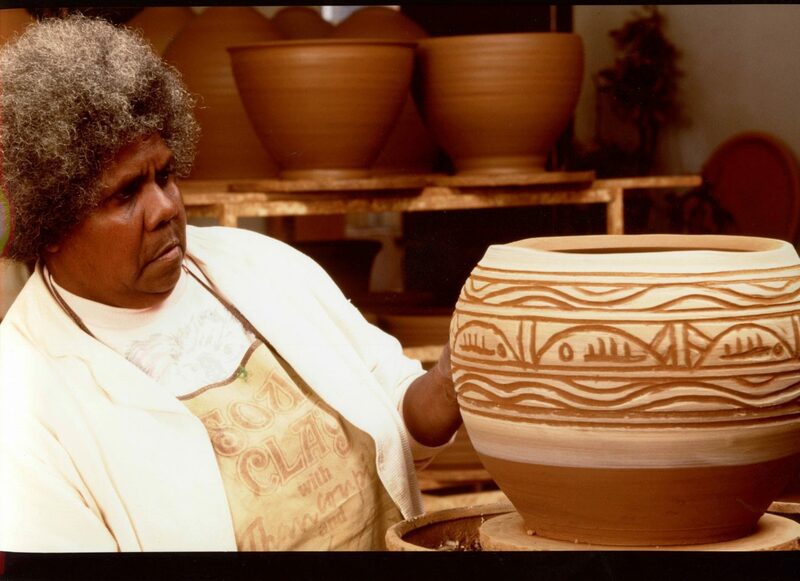 Thancoupie was the first Aboriginal woman to become a potter, to have a solo exhibition overseas, to own her own house in Cairns, to graduate from Art College, to receive two honorary doctorates and to be an Australian Cultural commissioner overseas. Thancoupie enjoyed sharing her passion with everyone, especially running art camps for children on her traditional land. 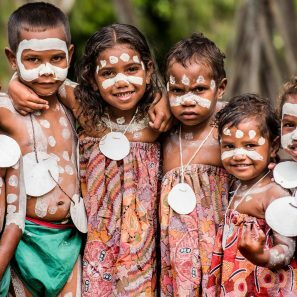 Over four decades she taught hundreds of local kids about the stories, culture and language of Cape York. Thancoupie had many exhibitions and her ceramics were collected by major art galleries around Australia and internationally. Thancoupie continues to be a source of inspiration for many artists. In honouring CIAF’s original Patron, this tribute exhibition will celebrate her contribution to the arts and highlight the profound legacy she left behind. The exhibition will be held 5 – 21 July 2019, at Tanks Arts Centre, Cairns, showcasing works from the various periods of her career and will be co-curated by Jennifer Isaacs AM. The official opening of the exhibition will be Friday 12 July. As part of the project we will reflect her love for children and teaching, by inviting students from a range of Cape York primary schools to contribute to the exhibition. Your donation will contribute to CIAF operational costs (loan and transportation costs of Thancoupie’s artwork to and from Cairns) to ensure the exhibition is a true reflection of works representing Thancoupie’s legacy. Cairns Indigenous Art Fair Ltd is a not-for-profit company with Deductible Gift Recipient (DGR) and Australian Charities and Not-for-Profit Commission (ACNC) Status. CIAF is committed to strengthening and celebrating culture, and is seeking new revenue raising strategies, sponsorship and philanthropy beyond existing government funding. Your support assists CIAF in continuing to attract and nurture national and international recognition for the appreciation of the vital cultural contribution of Queensland Aboriginal and Torres Strait Islander Peoples. 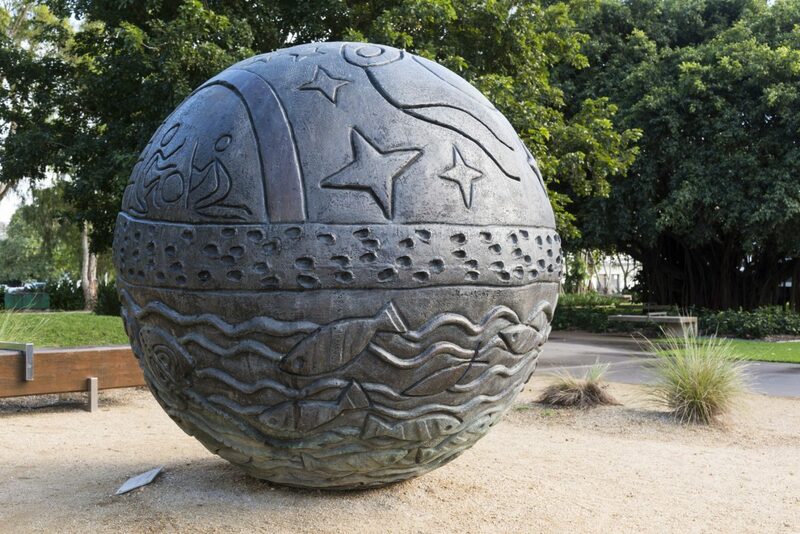 The Cairns Indigenous Art Fair (CIAF) is the quintessential celebration of Queensland Aboriginal and Torres Strait Islander culture, held over three days in Cairns’ during July each year. Presented first in 2009, CIAF is an annual Indigenous art fair and festival with an established place in arts and tourism event schedules across Australia. CIAF is committed to strengthening culture and generating interest in Queensland Indigenous art, creating professional development opportunities and cross-cultural exchange by providing an ethical point of sale and economic opportunity for Aboriginal and Torres Strait Islander artists and art centres.